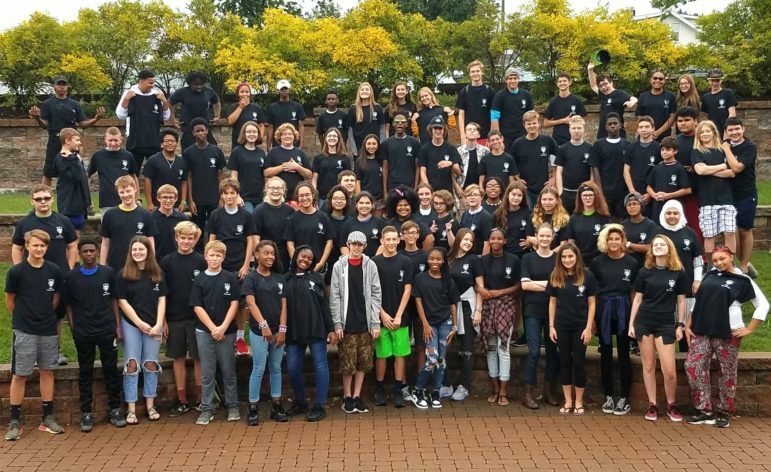 From a photo taken recently and shared by MRH, it looks like about 72 students in the Maplewood Richmond Heights class of 2022. That’s up from the approximately 63 counted in last year’s class of 2021 photo, also taken at the start of the year. The class of 2021 had an eclipse theme. Both photos are below.